The woodland at Beamish Hall was the location for us to venture down the rabbit hole… as it was the launch weekend the event was free having signed up for the limited tickets on offer. We were met by a member of staff, offered stickers and the kids were given an activity pack each. 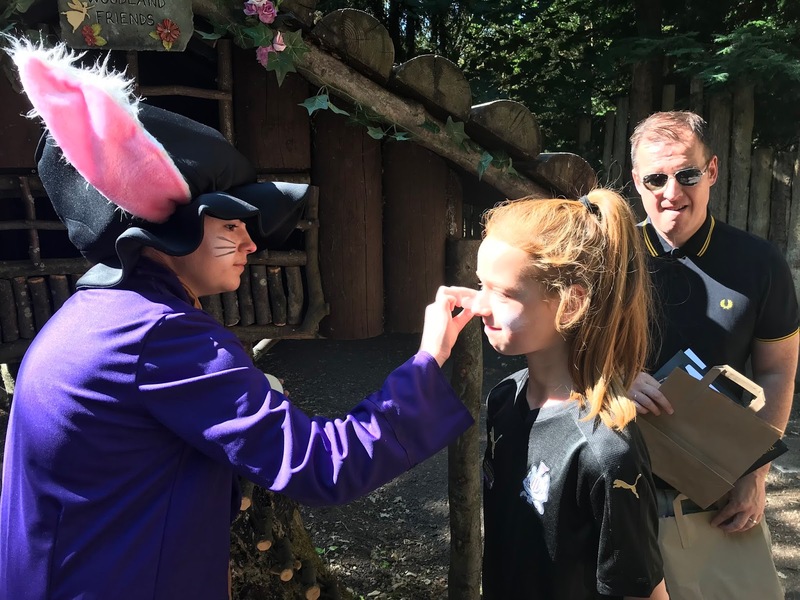 At the entrance to the woodland trail, the White Rabbit greeted us, and one daughter and myself chose to have rabbit whiskers painted on our faces. Cute we thought! The activity packs gave you clues for what to look out for and you could draw or write on the leaflets as you come across various items. 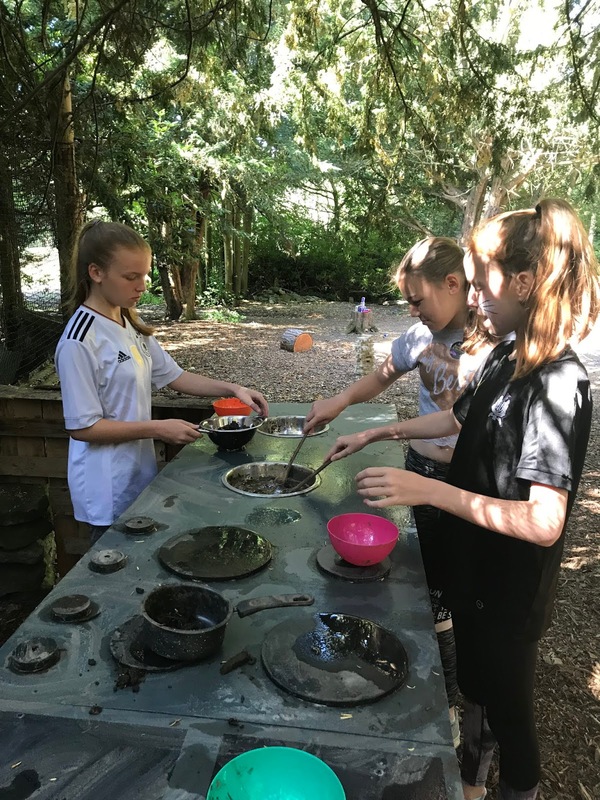 The first stop in the woods was a fabulous mud kitchen which enabled our cherubs to get mucky from the off! Using the small pencils and thick paper to take rubbings of the various plaques that the clues led you to was rather frustrating, even for our slightly older children. 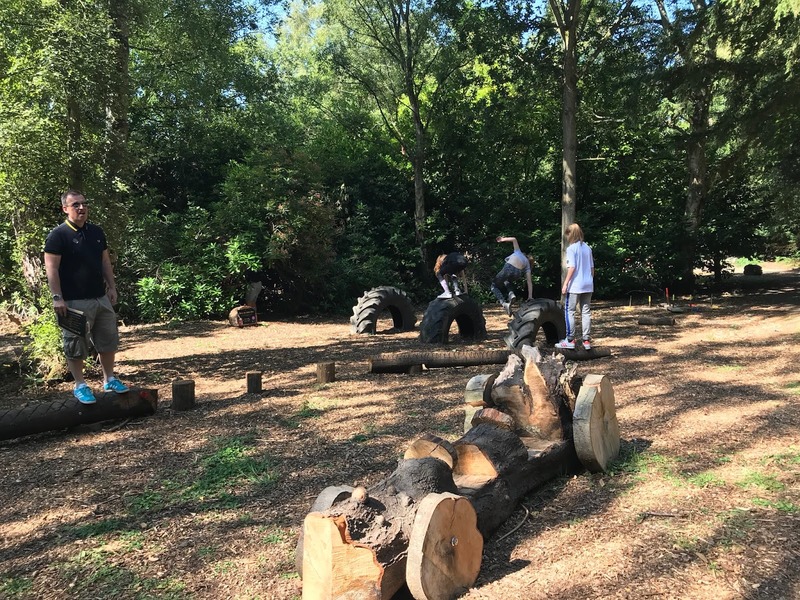 They appear to have made fairly good use of the space with places to colour in, swing, climb, bounce, bird watch, play Jenga and hopscotch and a tin can alley style game. The large wooden swings were particularly popular with our girls. And we all enjoyed clambering through the nature trails. 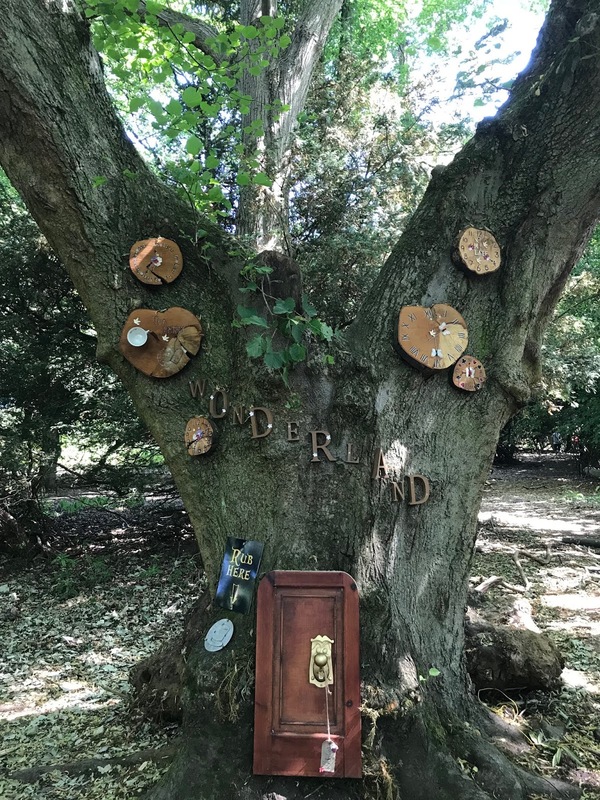 There are some nice little touches adorning the trees which link the theme and a rather good Mad Hatter’s tea party area where the Hatter himself was around to chat and, of course, drink tea with us. We were a little disappointed not to have met Alice. 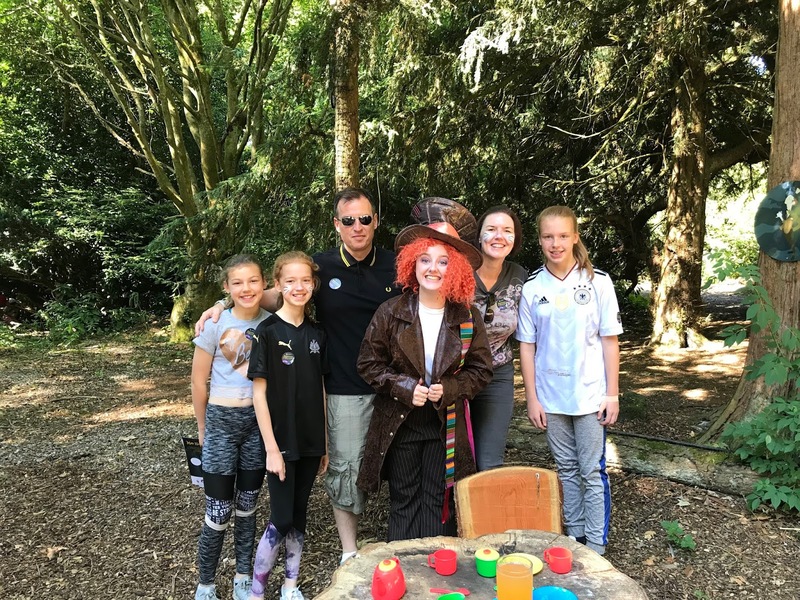 As we have 3 daughters aged 11, 11 and 10, we felt they were probably at the upper age limit to immerse themselves in the whimsical nature of the place, so we only spent just over an hour there. The good weather helped to make this an enjoyable visit, as did the limited number of people around at the early entry time. I don’t feel that it is spread out enough to accommodate large numbers at any one time. 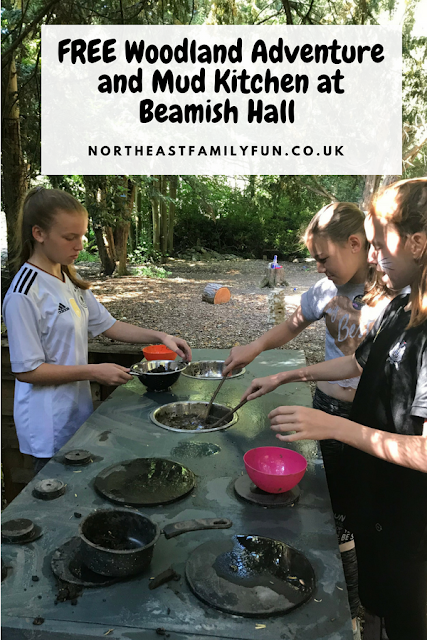 We wandered out of Alice’s adventure at the side of Beamish Hall and happily strolled across the grass back to reality and went on to enjoy some refreshments in The Stables, which is the on-site restaurant and pub (you can read our Sunday lunch review here - highly recommended). 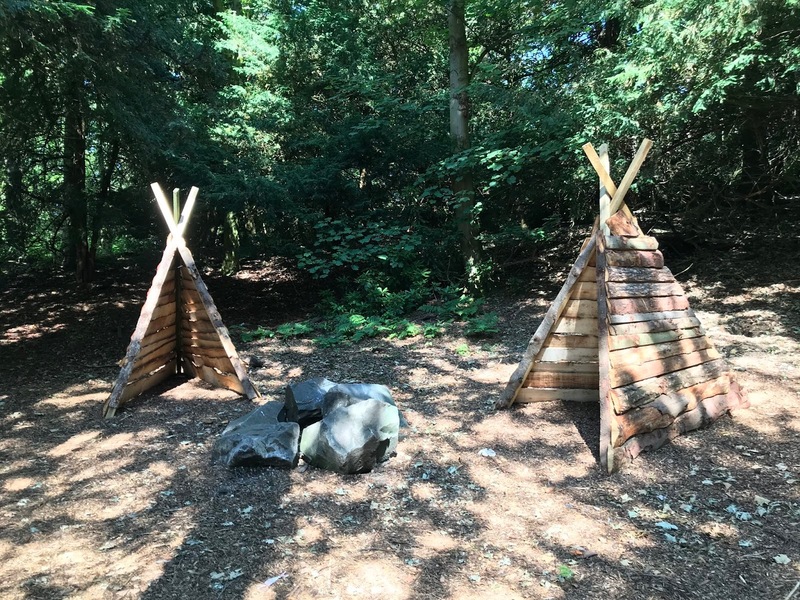 It's FREE to visit the Woodland Walk (although I don't think the additional characters are always there and think this was just part of the launch event), or you can pay an additional £4 if you'd like an activity pack. We would be likely to visit again if we were in the area, but we personally wouldn’t bother with the activity pack. 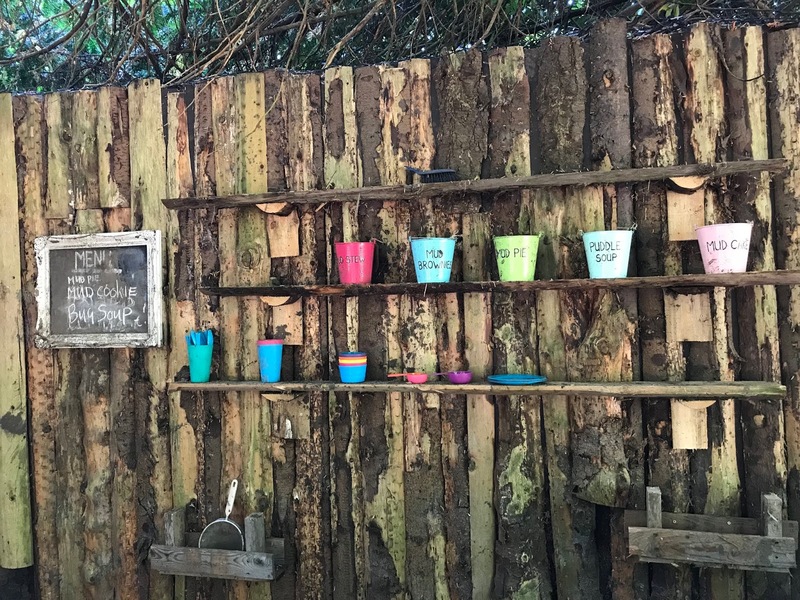 You can find out more about the Adventure Woodland Walk here. One to consider adding to the list this summer I think. Thank you so much to Claire for taking the time to write this review. If you'd like to write a review featuring a North East day out or family holiday/short break this summer, please email sam@northeastfamilyfun.co.uk for more information.